The GTI Taipei Expo, currently being held on the 25th to 27th of April, began it's first round of booth allocations on the 7th of December, 2018. Current registrations include manufacturers like IGS, Saint-Fun, Boller Technology, Loei, ICT, Asia Amusement, Pan Asia, Feng Yung Chen (FYC), Feiloli, Paokai, Borden, Guangzhou Huiyigu and many more. A manufacturers coordination meeting will be held on the 28th of January to explain the booth arrangements and exhibition notice. 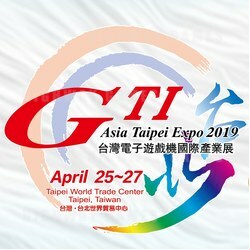 Since its first exhibition in 1993, GTI Taipei Expo has become an annual purchasing event for the Asia Pacific region. The GTI Taipei Expo will have many exciting and innovative products on display that cover entertainment, gaming, AR/VR, online and mobile games, as well as creating an excellent trade show platform for both buyers and exhibitors. This makes the GTI Taipei Expo a must-see event for visitors around the world.